Finding information in swimming pools was very hard back in the day. Now with the internet, there is sometimes too much information. For the Ottawa region, it's even harder to find relevant information for pool owners. 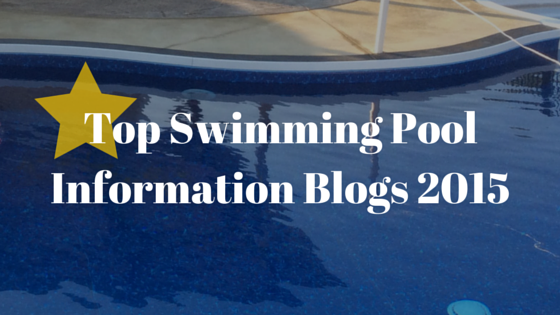 So what we wanted to do was share with you the top 7 swimming pool information blogs out there. We are continuously adding new information ourselves. So if you are in the mood to soak up even more knowledge, this list is for you. This blog is owned by PoolCorp - a large parts distribution company. It's an american blog that provides really good information for all pool owners. HTH is the company that produces many of the chemicals sold by swimming pool stores across north america. Their blog covers more about chemicals and water chemistry. River Pools and Spas is one of the first pool companies to start sharing amazing information for pool shoppers and pool owners. They are US based but many of their articles and videos will be applicable for canadians too. More relevant for fiberglass inground pool owners, since that is the primary product sold by the River team. Zodiac manufactures multiple products with various brand names. Jandy, Polaris, Baracuda and Aqualink, just to name a few. On their blog, they have helping tips and fun ideas. Hayward is a manufacturer of swimming pool equipement such as pumps, filters and salt water system. Their blog is a little self promoting, but it allows you to keep up to date with lots of the new technology available for pools. Latham Pool is also a large manufacturer of not only pool products, but also pool structures. Liners, Pool Walls, Kits, ect. Their blog shares mostly information on inground construction and backyard renovations. A personal favorite, ran by Matt Giovanisci in New Jersey. Really fun content, has been around for a long time and we hope they continue sharing awesome stuff out there. That's our shortlist for now! Do you know any other good sources of Swimming Pool Information? Post in the comments below and we will add it to the list.